The LUU Big Band plays a wide variety of dance band/big band repertoire including swing, funk and jazz. Formed in 1987 as part of the Leeds University Union Music Society they have moved from its humble beginnings to an independent, semi-professional band gigging around Leeds, the wider Yorkshire area and further afield. 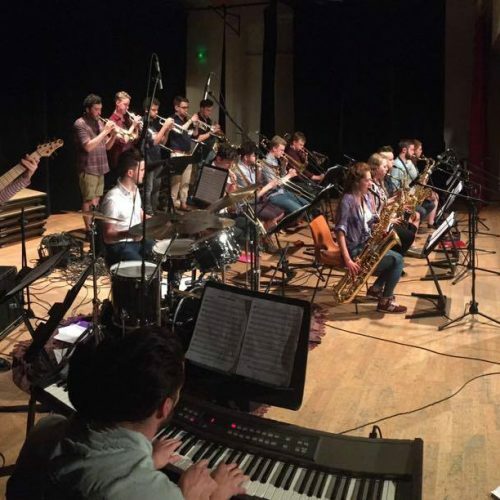 This 22 piece Big Band plucks the best jazz players from the University of Leeds to play for the forthcoming year. The repertoire features tunes by the likes of Count Basie and Thad Jones, and with Big Band arrangements of pop tunes ranging from Michael Jackson to Justin Timberlake.